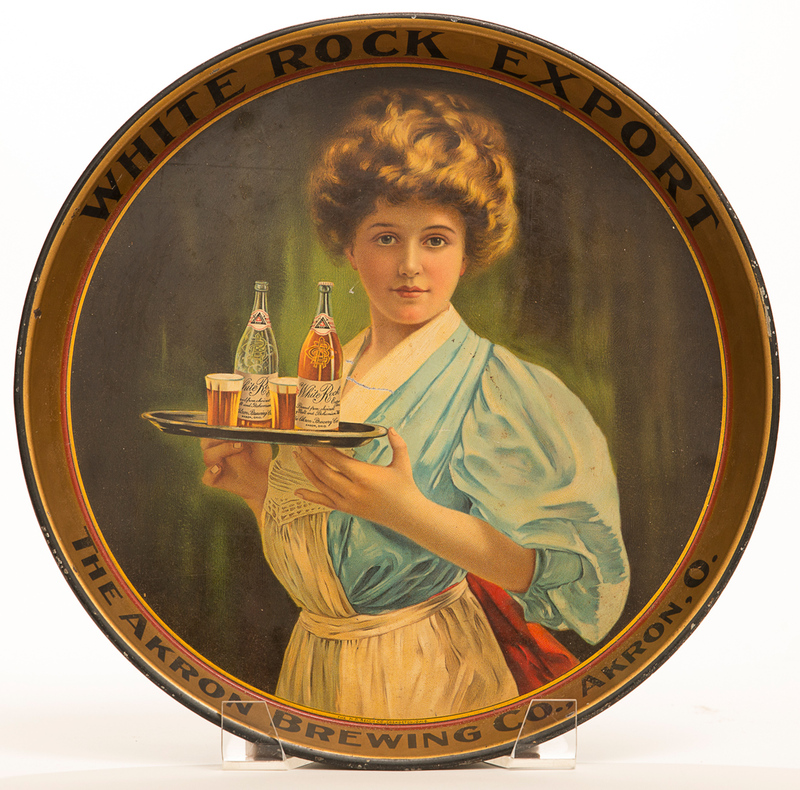 Pre-pro tin litho advertising tray for White Rock Export Beer. Tray features image of woman carrying tray of the beer. Tray is in very nice condition with good colors and only a couple small flaws in field.